In the last year or so, a new wave has started to roll in the skiff industry. It may not be ‘new’ as in innovative, but ‘new’ in a sense that manufacturers are actually tooling molds and releasing production skiffs in a ‘new’ class of micro skiff. The 16’x60″ micro. 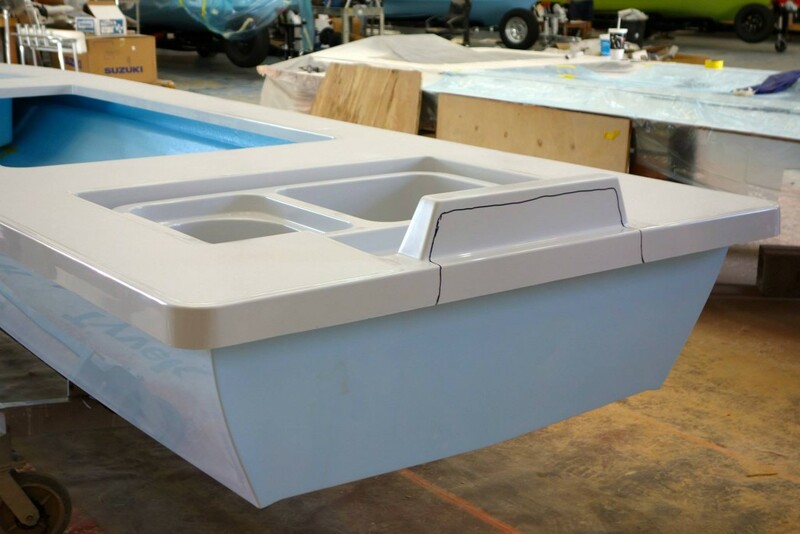 Hell’s Bay has been producing the ‘Glades Skiff’ for a long time now with a 58″ beam (which was initially a different hull) but these new skiffs aim to improve upon the ‘Glades Skiff’ form factor. 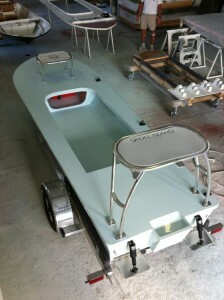 I’ve been putting up allot of news about the East Cape ‘Glide’ recently which is turning out to be a really nice skiff. Just before that, Skull Island Skiffs came out with their ‘SI16’ which you can read about here. Just after the Glide was announced, Beavertail Skiffs started posting about their new ‘Micro’ which I also posted about previously. All of these skiffs are very similar, and have lots on common. They are aimed at the ‘serial poler’. These are strictly technical poling skiffs that are made to get skinny, pole easily, and sneak up on fish in the shallows. The classic poling skiff, the Hell’s Bay Whipray, has been threatened as the king of the poling skiffs recently by all of the new skiff developments in the recent years. The Beavertail Strike, the Ankona Copperhead, and the East Cape Caimen are all skiffs in the same larger-than-60″-beam-class (with varying price-points and finish levels) that fish very well and can do allot of the same things the Whipray can. 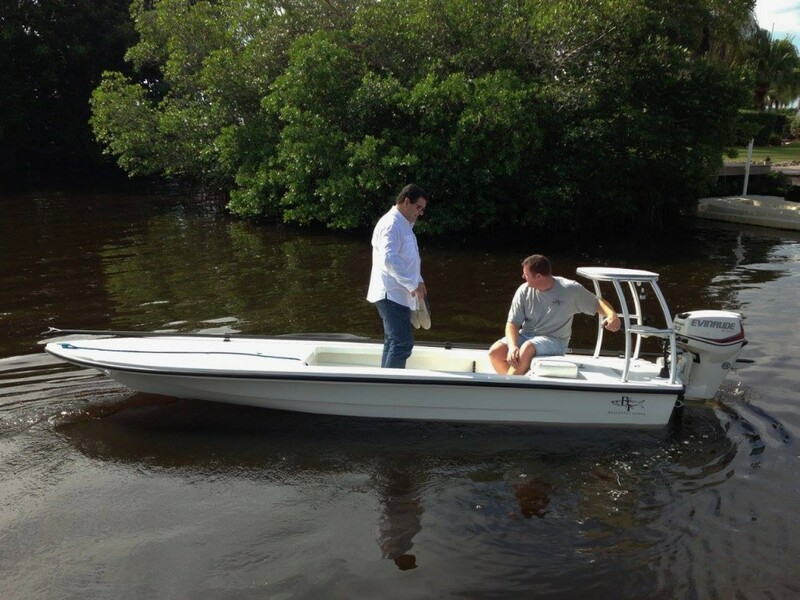 Getting into the mangroves, tight creeks, and back country shallows is easy for these skiffs…it will be even easier for the newcomers. Personally? I’m loving the new 16’x60″ skiffs! This is the perfect size boat for me. I have no need for a 17’+ skiff to gap larger wave sets, no need for live wells or an exorbitant amount of accessories, and no need for huge gunnels or 4 person capacity. For the ‘serial poler’, serious fly fisherman, or the serious flats stalker; these new skiffs will be prime targets for your next skiff purchase. Competition is great for the market and even better for the consumer. While it may not drive prices down, it will provide us with some excellent options that will let the market speak for itself and evolve organically through the progression of skinny water fishing. Keep up with more postings here, or get with each respective manufacturer for more info! Copyright © 2013 SkinnySkiff.com - Reviews and discussions for shallow water skiffs and fly fishing the flats. All rights reserved.